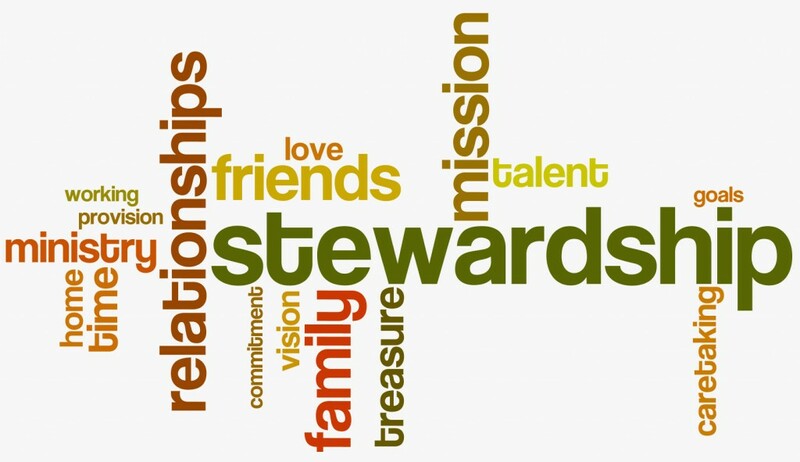 Sunday Nov. 2, 10:30 a.m.
How might the themes of idolatry and stewardship be connected? Solomon has been raised within the frameworks of faith, and anointed by God through Zadok the priest and Nathan the prophet. He has served as king of God’s people through a period of unprecedented prosperity and peace. And in the scene before us this morning we see Solomon in fullness of age kneeling … not in praise of the faithful Lord God but before a lifeless idol (1 Kings 11). We prone are to idolatry, even and perhaps especially during times of prosperity and peace. I remember reading a book by the French Protestant theologian Jacques Ellul who suggested that perhaps the idol we are most prone to worship in this time and place is money. In money we trust, to money we grant power. The demands of money for more money shape our lives as individuals and nations, devaluing all things human and spiritual. And the only way to break the power of money is to do with money the one thing it cannot tolerate, that is … give it away. The most effective way of profaning money is by dedicating money to the Lord God and to care of neighbour. 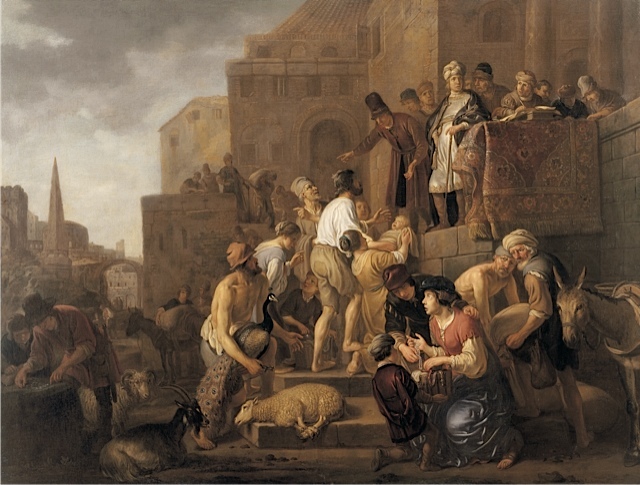 And so, from exploring a scene of the Old Testament and a painting from 17th century Netherlands, we continue with the dedication of our stewardship pledges for the year of grace 2015 and a time of Holy Communion. 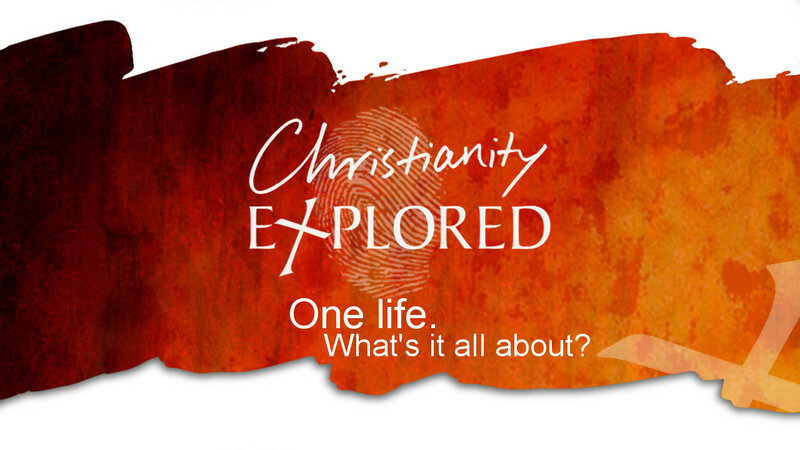 This is a six part DVD series that invites us to explore the foundations of Christian faith. Filmed on location in the U.K., it takes us on a journey through the Gospel of Mark. Topics include Identity, Sin, the Cross, Resurrection, Grace. Led by the Minister, Tuesday evenings until November 25, 7 – 8:30 p.m. Each evening is independent of the others, so don’t worry if you have to miss one. We have a good sized group signed up. All welcome and free – enter St. Andrew’s Hall by the side door off Clergy Street. Sunday October 26, 10:30 a.m.
‘Let us come before His presence with thanksgiving’ – Psalm 95:6 These words seem so appropriate in this season, in this corner of creation – the colours of the trees, the stalls of the market, so many visible reminders of the abundance that fills our lives in so many ways all our days. So much of life is gift – we do not ask to be born, we live in a city built by generations before us, we enjoy music composed by others, God laid out a path of salvation before we knew how to walk. It is important to be grateful, and it is important to thank the giver. As Christians, we thank God for life in all its fullness. And one way we thank God is to give back to God a portion of the abundance given to us, to support God’s work in the world, through the Church. This is Stewardship Sunday, and our worship will be lead by members of the congregation in prayer and story and music and sermon. ‘We give thee but thine own, whate’er the gift may be; all that we have is thine alone, a trust, O Lord, from thee’. Join us in the worship of God … and in gratitude and dedication! Sunday October 12, 10:30 a.m.
Amidst a colourful harvest display and with wonderful hymns of praise, we gather to lift up gratitude to God for life and God’s providing hand through all its seasons – ‘We plough the fields and scatter the good seed on the ground, but it is fed and watered by God’s almighty hand’. We pause to consider the providence of God. We continue our journey through some of the great stories of scripture, assisted by a current exhibition at the Agnes Etherington Art Centre of Queen’s University. This morning we hear the moving scene of Joseph, who through ill-treatment by his own family and injustice afflicted by others has found himself in Egypt, responsible for distributing grain in a time of famine, revealing not only himself to his brothers but also God who has been at work, unacknowledged but undeniably, for good – ‘God sent me before you to preserve life’ (Genesis 45:5). Claes Cornelisz Moeyaert, Joseph Selling Grain in Egypt, around 1650, oil on canvas. Be sure to scroll through the Order of Service (below) to find the announcements, and consider each a personal invitation to grow in Christian faith, community and service. Join us! Sunday October 5, 10:30 a.m.
Moyses van Wtenbrouck, Jacob Wrestling with the Angel, 1623, oil on panel. Agnes Etherington Art Centre, Queen’s University. ‘The Stories Behind the Paintings’. This Sunday we begin a series that begins with a current exhibition at the Agnes Etherington Art Centre and looks at the biblical stories interpreted by these amazing paintings. First in this series is the story of Jacob wrestling all night till daybreak with a stranger, later declaring ‘I have seen God face to face’ (Genesis 32:24-31). 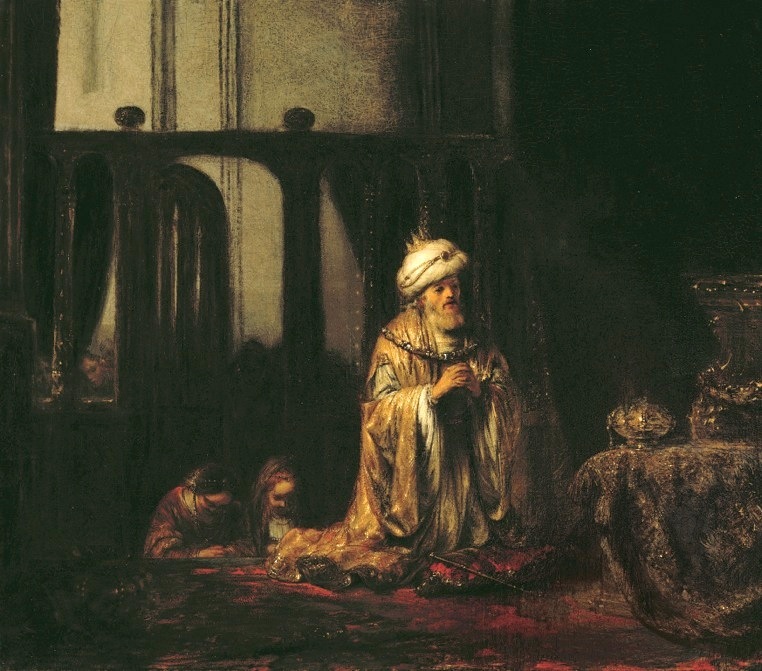 There are many layers to this painting and to this story: the fact that the Holy One chooses to come to Jacob the swindler and deceiver; the dimension of the human encounter with the Holy One as a struggle; the stranger providing Jacob with a new name and a new beginning. 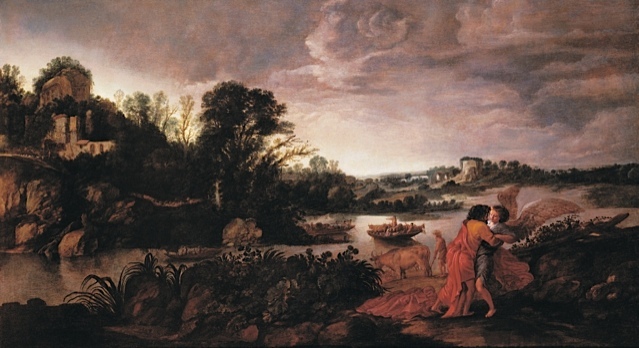 With Jacob lunging forward and grasping the stranger, perhaps most developed in this painting by van Wtenbrouck is the determination of Jacob not to let the stranger go until the stranger blesses him.